Hello old friends and new!! Read more to learn more! 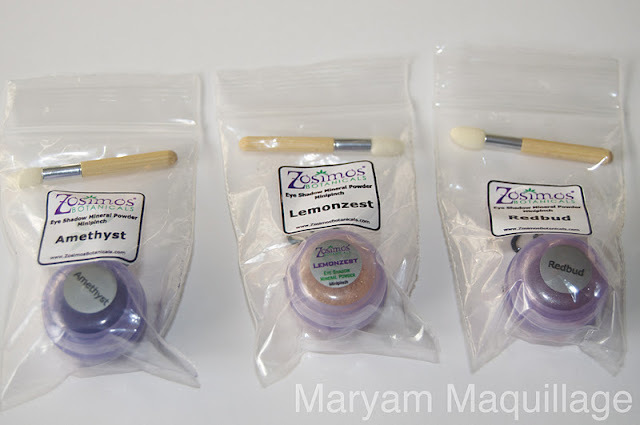 Zosimos Botanicals eco-friendly mineral makeup & natural skincare is made by hand, at the time when customers order, providing the freshest makeup and skincare available. Everything is created in small, quality-controlled batches using only the purest essential oils, waxes, herbs, fruit extracts and floral waters. This company is so dedicated to environmental causes and social responsibility that even its studio is 100% wind-powered! With everything going on in the world, I'm so glad for companies like Zosimos that get it right! Two thumbs up for environmental consciousness!! 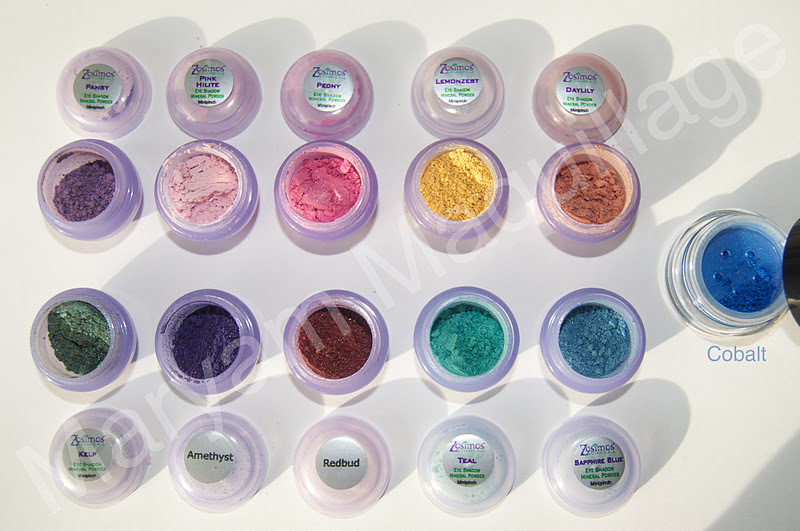 Each Minipinch eye shadow comes individually wrapped and includes a bamboo handle sponge applicator. How cute!! Final Thoughts: I am truly impressed and amazed by the love put into these products. 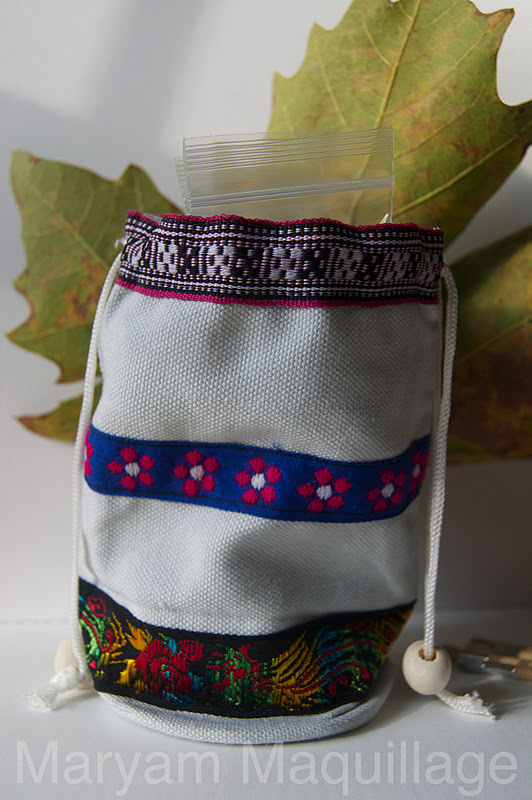 From the moment I received the 100% recyclable box containing the products, I knew there was a caring person behind the craftsmanship and detailing of every aspect of this brand. I've tried many mineral / organic makeup brands and none of them compare to the quality of Zosimos Botanicals makeup. I was incredibly surprised by the pigmentation and richness of these eye shadows--I never thought mineral makeup could be so bright and intense. 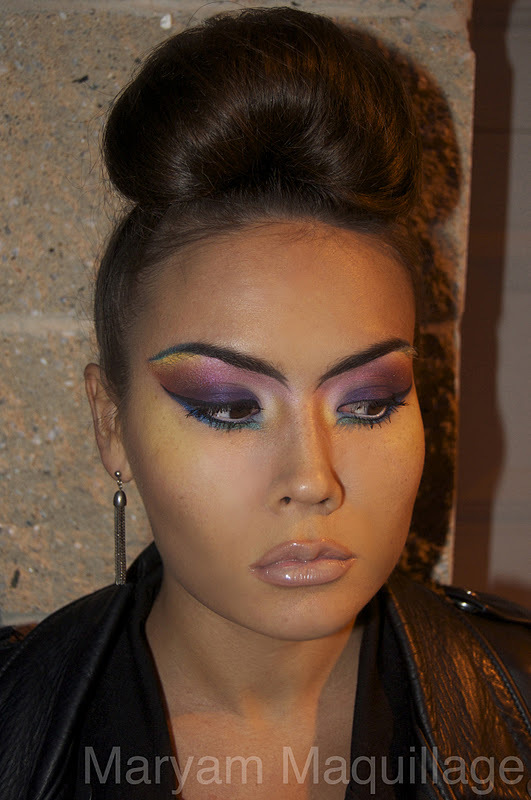 In turn, I conceptualized my makeup look from the notion that one doesn't have to be an earthy flower child to wear Green Cosmetics--that's why I'm ROCKIN'-ROLLIN' it!!! 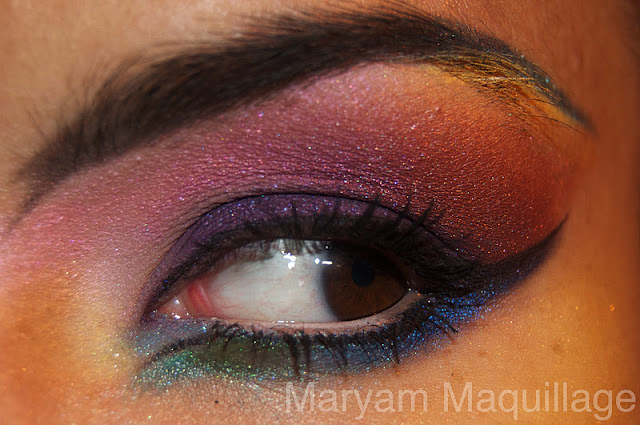 For this look, I used every eyeshadow from the Brown Eye Set plus the Cobalt. 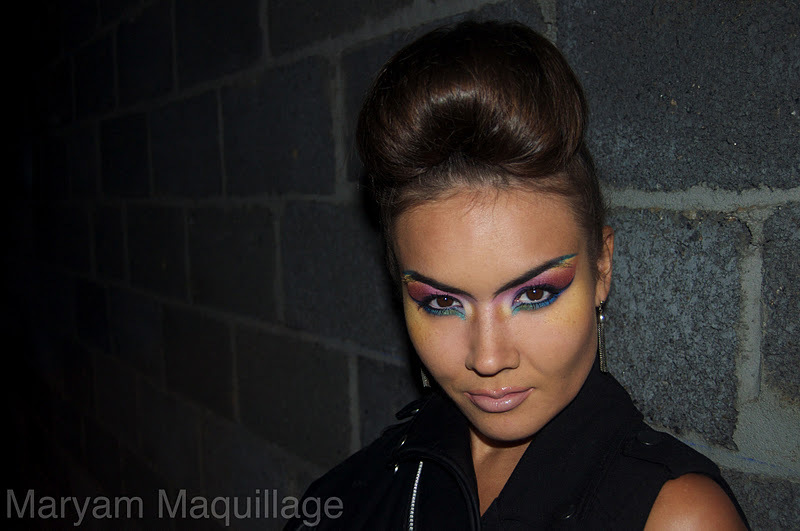 I wanted to show the intensity and pigmentation of the products, so I went ahead and got creative! Duplicating this look may be a bit difficult, so instead I'll give you tips and suggestions on how to use pigments or loose powder shadows. TIP #6: Use pigment eye shadows for your evening looks--they will last all night! It's not wearable but it's totally gorgeous! pretttyyyy!! really funky look!! I love it! 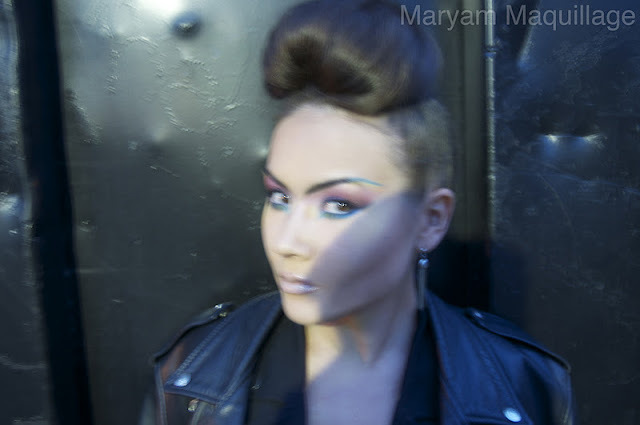 Super fierce look!!! I LOVE it! WOW Great look! : ) Love it. wow this look is so high fashion! I love it! You look so gorgeous! ooh such intense make up, so cool! wow I love this. You look so fierce!!! the colors are really beautiful! Wow! I am floored by your exotic, mesmerizing, bewitching oriental look ! I love your trade mark pout. *screams* This is SO gorgeous! You look beautiful. 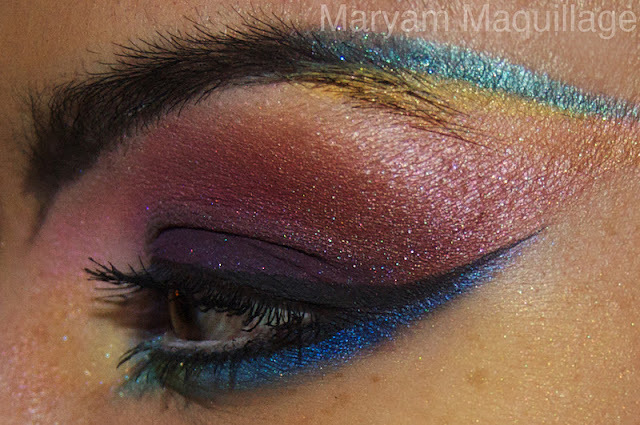 I am loving the colors and the sort of way you used it as a eye brow pencil. Cool! Wow this is gorgeous! You are so talented! I am speechless!! You look like a model!!! AMAZING!! Pardon the ugly language for such a beautiful look, but I am literally shitting bricks over the sheer amazingness and ferocity of this look. Like, jesus, move to Milan and walk the runway already. BRB, DYING. this look is crazy amazing! wow so pretty!!! luv all the colorful eye shadows. Girl you look smokin' hot, like supermodel amazing! I love the rockstar vibe and the hair looks amazing! Okay, I just have to say I was blown away by this look. You always post beautiful natural looks, but this one catches my eye because it's so editorial and high-fashion! I loooove it! 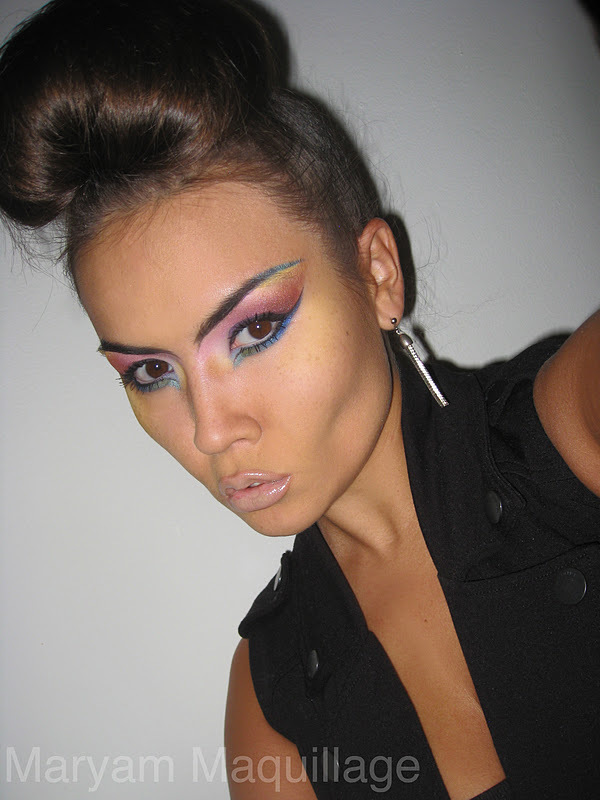 wooooow that is some brilliant makeuping! Wowwww... Amazing!!! You are so good! Wow that looks great!! Love your hair! Ps- Thanks for your makeup tip about the cheekbones, I have been doing what you said and it makes a difference! Stunning look Maryam! 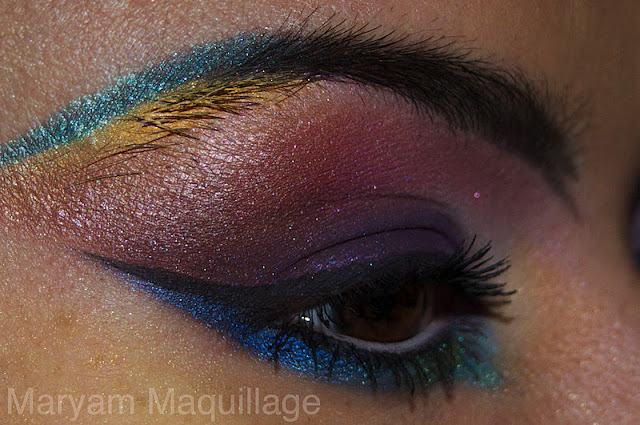 I love how you finished off your eyebrows with the two colours too, such a creative touch! omg, absolutely fierce! loving all the colors & your hair looks amazing. Loving this edgy look on you!! super gorgeous!! i love your style! thank you soo much for all your sweet comments everyone!!! 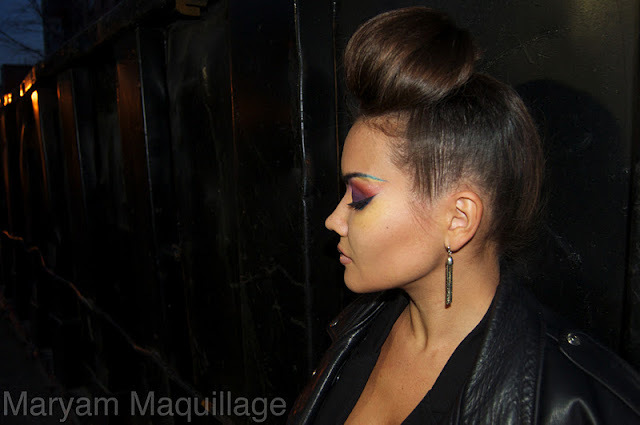 this is such a fun look, both hair and makeup! i love mineral cosmetics, but sometimes have trouble with pigmentation...looks like this is very pigmented though and nice "low quality" picture! Holy crap, you look freaking stunning! This is a super fun and hot look! I must say, this is such an amazing makeup job! The colors are so festive and I love how you made it look so dramatic! WOW! Great look, this is one of my favourites of yours. I love the unique colour placement and what you've done with the ends of your eyebrows! this looks like it belongs on a runway! beautiful! 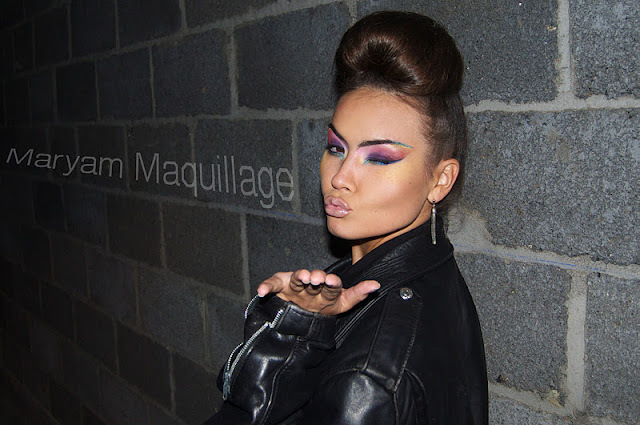 I agree wuth Ev, this look does belong to the runway! It's so fierce and beautiful. I love, love it. And I know this is weird, but I like your nose lol. You have the prettiest nose! lol thanks Rebekkah... I used to think my nose was very pointy--like witch pointy--now I like it too haha!! hello rock star rainbow goddess! Nice post. I learn something more challenging on different blogs everyday. It will always be stimulating to read content from other writers and practice a little something from their store. I’d prefer to use some with the content on my blog whether you don’t mind. I’ll give you a link on your web blog. I recently came to know about https://avanaaustralia.com.au/, their Natural Skincare products are very effective.